A good number of these tours are free. OCTAVIO JONES | Times Danielle Rice, 46, takes a photo of her two daughters Haley, 15, left, Hannah, 17, right, and her husband Paul, 47, center, while taking a tour of Raymond James Stadium. Bill Charles, a tour coordinator leads a group on a tour of Raymond James Stadium. 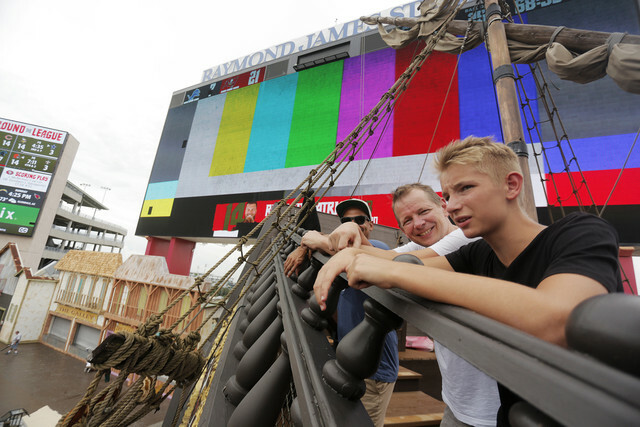 Football fans take a tour of Raymond James Stadium where the Tampa Bay Buccaneers and the USF Bulls play their home games along with other entertainment industries will hold events in Tampa, Florida on Wednesday, August 1, 2018. OCTAVIO JONES | Times Bill Charles leads Charles Rodriguez of Richmond, Va., center, Maurice Reihlen of Germany, right, and others on a tour of Raymond James Stadium in Tampa. JAMES BORCHUCK | Times Tours of Yuengling Brewery in Tampa are Wednesday through Saturday at 10:30 a.m. and 1 p.m. They meet and end at the gift shop and biergarten. Photo from Big Cat Rescue Big Cat Rescue offers tours of its animal sanctuary that include feedings, enrichment with toys and more. If you’ve lived in the Tampa Bay area for any length of time, you know these places. You’ve probably got a sense that there’s a pretty big port in downtown Tampa, but you’ve never seen the scale of the massive container ships at Port Tampa Bay from any closer than the interstate. And you’re vaguely aware that Tampa Theatre is old and historic, but you couldn’t explain how it survived the fallout of a 1948 Supreme Court decision that killed nearly all theaters like it. Tour guides tell stories about specific places, but those stories, once you know them, can give context to our sense of Tampa Bay as a whole and deepen local identity. At the least, they can provide a fun fact or two to bring up over dinner later. Remember, driving past the Yuengling brewery near the University of South Florida isn’t the same as smelling the bready aroma of brewing beer, or meeting the scientist whose job it is to taste every batch. If you’re a local, consider taking a visitor from out of town. And if you’re not a local, any of the following behind-the-scenes tours would be a good place to start getting familiar with the area. Exploring a stadium meant for tens of thousands of fans with a group of only a dozen people can be jarring. It’s very quiet. Without a game to focus on, a roaring crowd or long concession lines to stress over, you can actually appreciate the size and design of these places. Raymond James Stadium offers a 75-minute tour showing visitors the inner workings of the Tampa Bay Buccaneers’ home stadium, visiting a luxury suite, the pirate ship, the newly remodeled West Stadium Club, the USF home team locker room and, most importantly, the field.If you feel like shopping, the stadium store has more than 2,000 items branded with the Bucs logo. Tours run Mondays through Thursdays and select Fridays at 2 p.m., and meet near the ticket office between gates C and D. Advance reservations are not required, but because tours are subject to cancellation, visitors should call (813) 350-6500 to confirm a tour is running that day. 4201 N Dale Mabry Highway, Tampa. $10 adults, $7 children. tampasportsauthority.com/stadium-tours. offers 90-minute tours on weekdays whenever the team is on the road. Some normally restricted areas that tour groups visit are the press box, the stadium control room and the Tampa Bay Rays’ dugout on the field. Guides will point out some of the stadium’s unique features and offer up trivia about the team’s history. Occasionally, groups will even see a player who is rehabbing or didn’t go on a road trip. Tour days and times vary, so check online at mlb.com/rays/ballpark/tours for an updated schedule and tickets. 1 Tropicana Drive, St. Petersburg. $10 adults, $5 children. Toll-free 1-888-FAN-RAYS (1-888-326-7297). offers a behind-the-scenes tour on all Tampa Bay Lighting game days, starting 3?½ hours before the game and lasting an hour. Visitors see every floor of the arena, the pipe organ, the press box and the Zambonis, and they even take a picture next to the ice. Tickets to that day’s game are not required. Buy tickets at the Amalie Arena ticket office or through the Tampa Bay Lightning app by clicking "experience" and "seat upgrades." 401 Channelside Drive, Tampa. $8. (813) 301-6500. nhl.com/lightning/arena/amalie-arena-tours. While everyone has a favorite local craft beer, when it comes to a good tour it’s hard to beat the large operation at Yuengling, tucked away in an industrial area north of Busch Gardens. 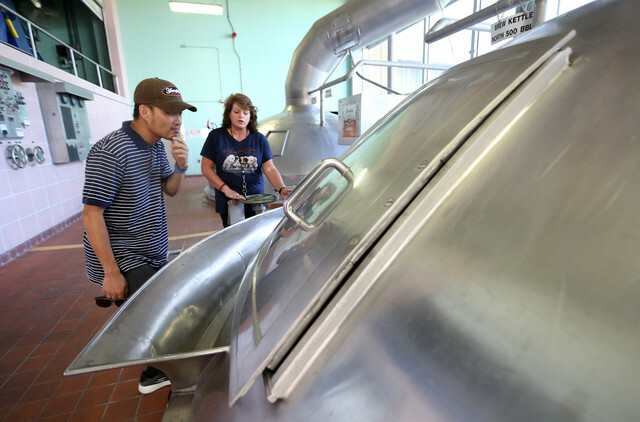 As the largest brewery in Tampa, part of the fun comes from seeing the size and scale of the operation. Train tracks run through the brewery to accommodate the huge shipments of ingredients needed for brewing. When the automated bottling line is running, it’s an impressive sight. Also, it’s totally free, and that includes beer in the tasting room at the end of the 75-minute tour. (Just don’t forget to tip your bartender.) Samples include some Yuengling varieties that aren’t even distributed in Florida. You’ll come away with a handful of Yuengling trivia answers — did you know it survived prohibition in part by making ice cream? — but the highlight is a peek inside the laboratory, where the scientist in charge of quality control (literally, the guy who sips the beer to make sure it tastes right) will answer your questions about his job. Free, all-ages tours are Wednesdays through Saturdays at 10:30 a.m. and 1 p.m. Meet in the gift shop. 11111 N 30th St., Tampa. (813) 972-8529. yuengling.com/visit-us. Prefer wine? The Keel and Curley Winery in Plant City, specializing in wine made with blueberries, offers tours of its secluded winery in rural eastern Hillsborough County that include a trolley ride, as well as a tour of its Two Henrys brewery. It also serves a full menu of pub food with table service in its tasting room. 1, 2, 3 and 4 p.m. Saturdays and Sundays. $5 for tours, or $15 with a wine tasting. 5210 Thonotosassa Road, Plant City. (813) 752-9100. keelandcurleywinery.com. Prefer spirits? Kozuba & Sons makes wheat and barrel-aged vodkas, a rye and a white whiskey, and offers tours of its distillery, which moved from Poland into a former ice house in St. Petersburg in 2016. Learn about the distilling process, visit the barrel room, sample goods including recommended cocktails and, if you like, purchase a bottle on the way out. Tours are scheduled during regular business hours by request via [email protected] or (727) 201-9078. $10. 1960 Fifth Ave. S, St. Petersburg. kozubadistillery.com. What is the most expensive sea creature to feed at the Florida Aquarium and why? It’s likely much smaller than whatever you’re thinking, but to get the surprising answer you’ll have to check out the aquarium’s behind-the-scenes tour. The hourlong tours guided by animal experts visit normally off-limits areas such as the filter yard, which plays a huge role in keeping so many tanks clean and clear, the commissary, where all of the animals’ meals are prepared, the reef deck and the coral farm. The tours emphasize how the staff cares for the animals. Tours run daily at 1 p.m. and cost an additional $12 after regular admission. 701 Channelside Drive, Tampa. (813) 273-4000. flaquarium.org/tours-and-adventures. 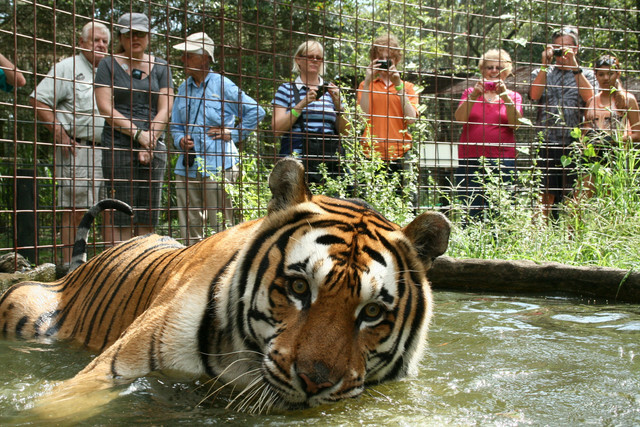 Big Cat Rescue’s Keeper Tour doesn’t come cheap, but the 67-acre animal sanctuary calls it the "most exclusive behind the scenes experience you can find in the animal world that is respectful to the animals and safe for the guests." The two-hour tour includes making toys for the cats. The same toys are later given to those cats during the tour so you can actually see the cats roll around and drool on what you’ve made. There are also up-close feedings and demonstrations of "operant conditioning," in which keepers teach the cats critical behaviors such as how to stand up so that their paws can be examined. The keepers also explain the history and purpose of the sanctuary, and how each of the nearly 80 cats came to be there. It’s unlikely there’s another place where you can see such a variety of exotic cats at one time. 10 a.m. Fridays through Sundays. $125. 12802 Easy St,, Tampa. (813) 920-4130. Make reservations at bigcatrescue.org/keeper-tour. Big Cat Rescue also offers a variety of other tours at bigcatrescue.org. 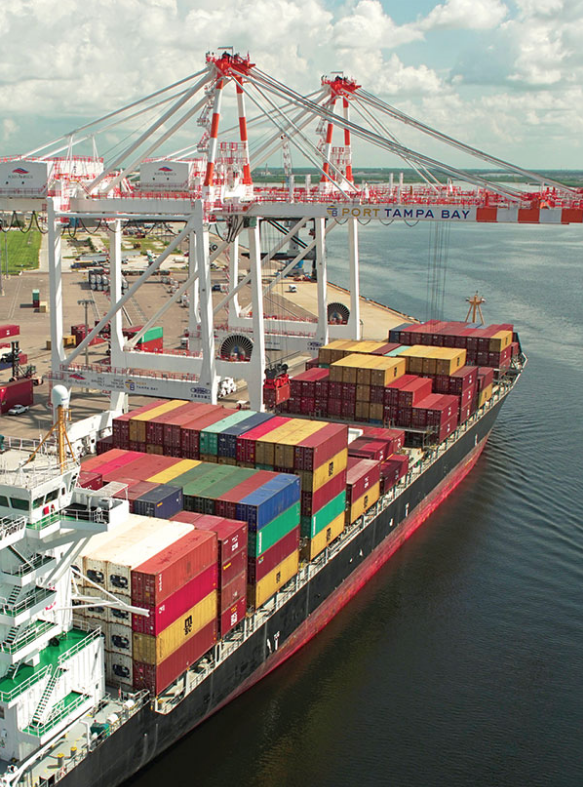 Port Tampa Bay handles more than 38 million tons of cargo from around the world each year, and that’s not including the tens of thousands of passengers who arrive or depart on cruise ships every week. It adds up to a more than $17 billion annual impact for the region, and yet, none of those dry numbers can drive home the scale of Port Tampa Bay like an up-close view of the giant cargo ships, container cranes and whopping petroleum tanks that allow Tampa to serve as an energy gateway. To educate the public about what goes on there, Port Tampa Bay offers free, educational harbor tours twice a week departing from the Florida Aquarium. The 75-minute ride aboard the Bay Spirit II, a 72-foot powered catamaran, offers a vantage point on the port that’s totally different from what’s seen from Interstate 4, and a knowledgeable guide will explain what you’re seeing. Tours depart at 9 a.m. Wednesdays and Thursdays from 701 Channelside Drive, Tampa. Tours are free, but reservations must be made in advance at (813) 905-7678 or porttb.com/harbor-tours. 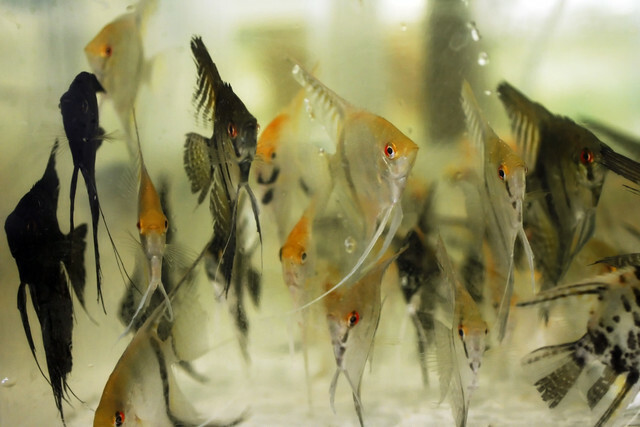 Did you know the largest aquarium fish distributor in America was headquartered in Hillsborough County? Segrest Farms has been supplying tropical fish to fish stores for decades. Today the facility in Gibsonton contains more than 5,500 freshwater aquariums and another 60,000 gallons of saltwater systems. The farms span 135 acres with close to 1,000 ponds. It offers free tours of all of it to the public; all you have to do is call ahead. Visiting hours are 8 a.m. to 3 p.m. Mondays through Wednesdays and 8 to 10:30 a.m. Thursdays. Call (813) 677-9196 the day before you’d like a tour to confirm, or email [email protected] 6180 Big Bend Road, Gibsonton. segrestfarms.com. Even when it was built in 1926, Tampa Theatre was one of America’s most elaborate movie palaces. The place is so full of tiny details that architect John Eberson added in, you’re bound to miss a lot without an expert to point them out to you. That’s where the theater’s regular Balcony to Backstage Tours come in. You’ll see where the Mighty Wurlitzer organ goes when it descends beneath the stage. You’ll hear the legends of the long-gone projectionist who some believe still haunts the halls. You’ll hear the details of the decadeslong effort to preserve and restore this one-of-a-kind Tampa treasure. Tour groups also visit the backstage basement to see the building’s original dressing room. 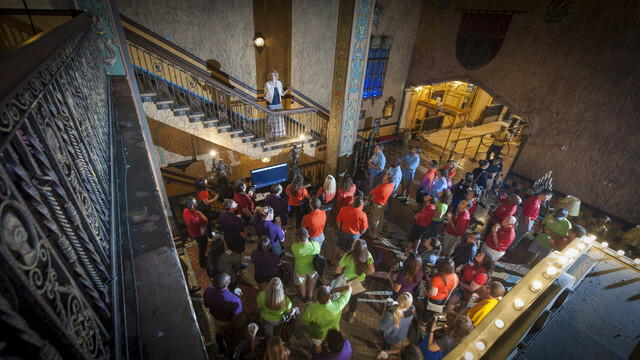 You’ll come away with a new appreciation for how Tampa Theatre became one of only three of Eberson’s signature "atmospheric" theaters on the National Register of Historic Places, and the only one that contains most of its original furnishings and fixtures and continues to show movies. 11:30 a.m. select Tuesdays and Saturdays. $10 adults, $8 children. 711 N Franklin St. Tampa. (813) 274-8286. For dates and tickets, visit tampatheatre.org/tour/balcony-backstage-tour. If you’ve never worked in a restaurant kitchen, and maybe even if you have, the complimentary tour at Bern’s Steak House will inspire awe. Usually your server will offer it to you. Sometimes you have to ask. But if you’re eating at Bern’s, you have to do it. 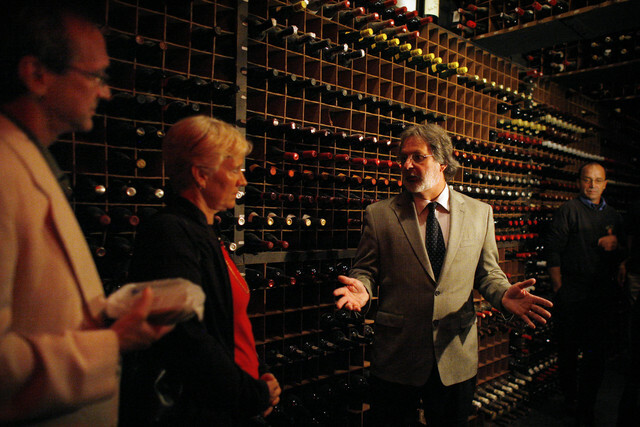 For starters, how many restaurants offer kitchen tours? Will you feel like you’re totally in the way? Yes, but get over it. Bern’s has done these tours every day for decades, and the staff is used to it. You’ll be rewarded with an impressive display of speed, coordination and grace under pressure. Then you’ll visit the wine cellar, home to a sizable chunk of the largest wine collection on Earth, and arguably the best Instagram spot in South Tampa. Tours are complimentary for diners. 1208 S Howard Ave., Tampa. (813) 251-2421. bernssteakhouse.com. 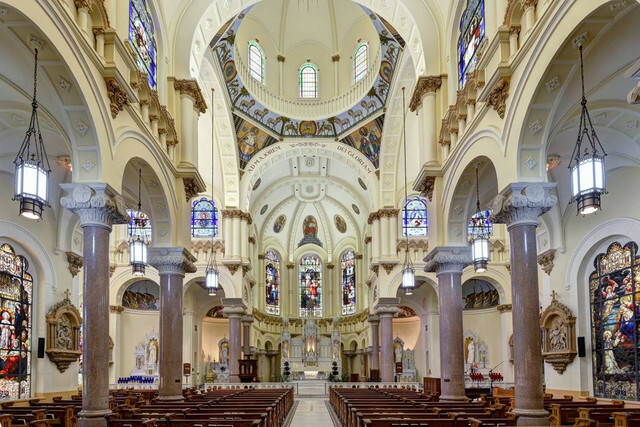 If you think that downtown Tampa’s 113-year-old Sacred Heart Catholic Church is impressive from the outside, the marble and granite church is equally beautiful indoors. The origins of the church date back even farther, to 1859, when a wooden church was built at the same spot. The current Romanesque structure is nearly identical to how it looked a century ago, with 70 stained glass windows under its dome. The Friends of Sacred Heart group leads a popular guided tour on the church’s history and architecture, and even maintains a small church museum. 1:15 p.m. the second Sunday of every month. Tours meet behind the church at 507 N Florida Ave., Tampa. (813) 229-1595. sacredheartfla.org.